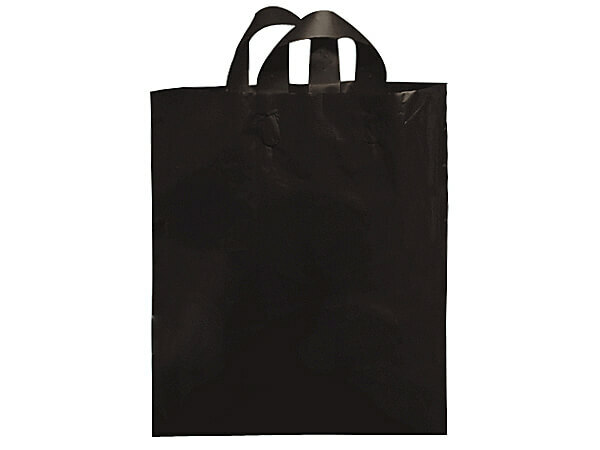 Bulk packed large Mezzo size Black Studio Bags are made from recycled 2.25 mil HD plastic proudly qualifying it to be a part of our Green Way ® Eco-Friendly Packaging collection. A nice feature of these bags is the gusset being only on the bottom. This allows the space needed to hold your product securely and keep the look of the bag together while in use. Yes! We can print it! Personalize your bags with a company name and/or logo. Call our Custom Print Department at 1-800-547-9727 ext. 4 for details.